A year had passed in the blink of an eye. Yes, both of my kid's school year is over. A few goof ups along the way, yet at the end a few achievements as well. There are so many graduation parties to look forward to. We were invited to a friend son's graduation party. I was just speculating what to wear. 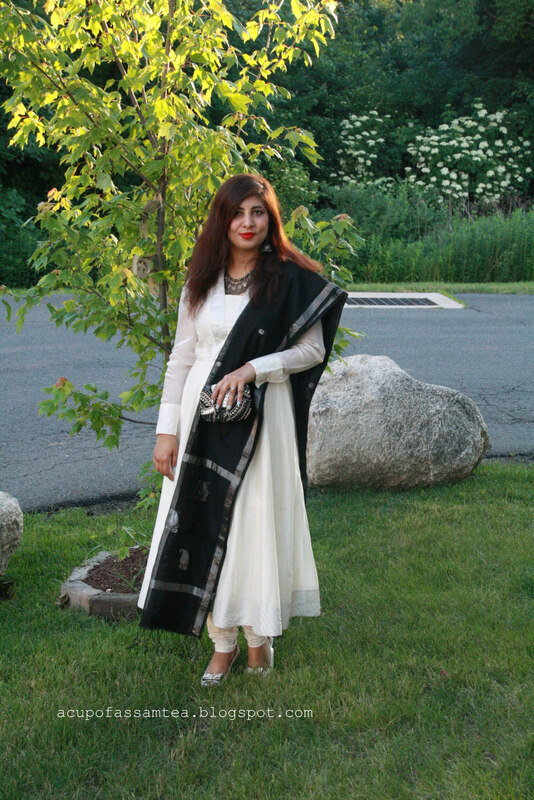 As it is an Indian friend's party, I decided that I am going to dress up in Indian wear. Living in New England, a few days of summer is bliss after the winter hibernation. 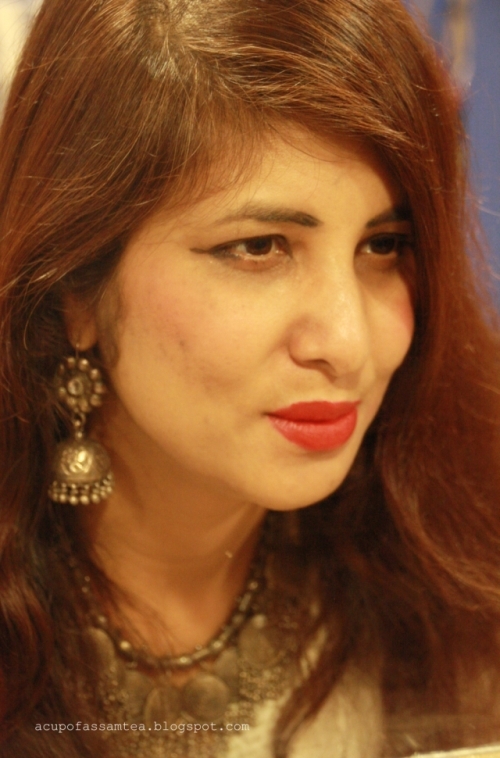 I can't wait to wear my Indian outfits which I got from India during my last visit. As I was deciding on my dress, I assumed crowd would be more youth. They will wear western so to blend with it I need to wear something subtle. While going through my wardrobe, I finalized on my off-white chanderi silk flared kurta with silver banarasi border, and a black dupatta with silver weaves. As the dress is simple and fuzz-free, it gives a plenty of options for accessories. For accessories, I wore a silver necklace which I bought some 15 years back from Jaipur, India. 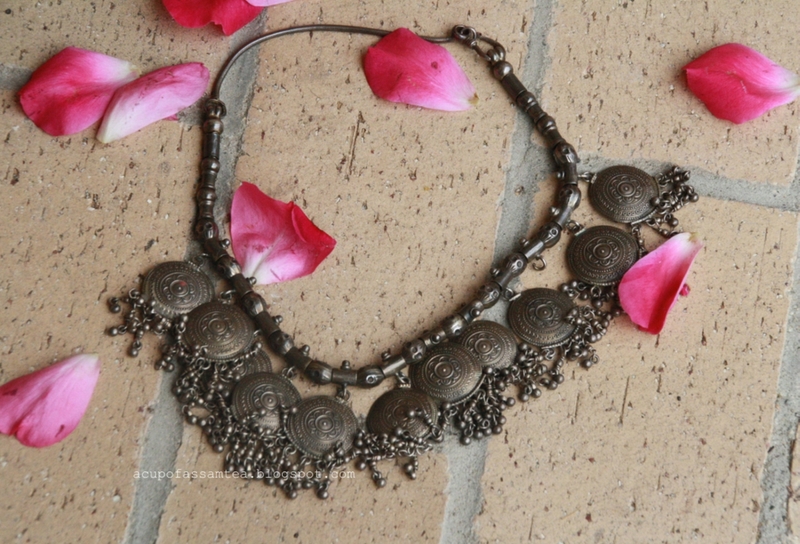 I love huge silver jewelry, and I added both earrings and necklace for an extra spin. If you want, you can skip either necklace or the earrings. 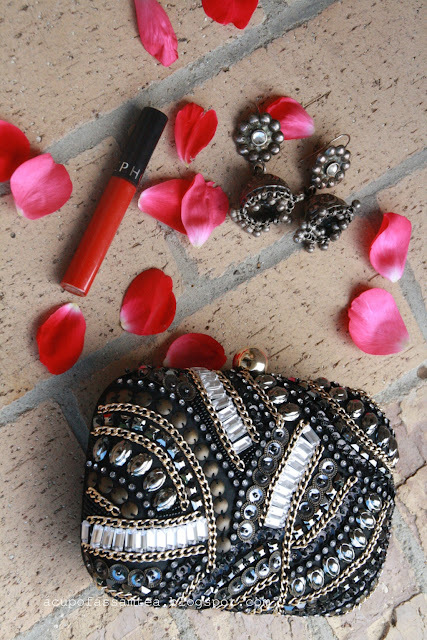 Added a beaded clutch with sequins and rhinestone work and bold red lips. This outfit has a very smooth and comfy vibe. Great for crisp summers as the fabric is breathable. 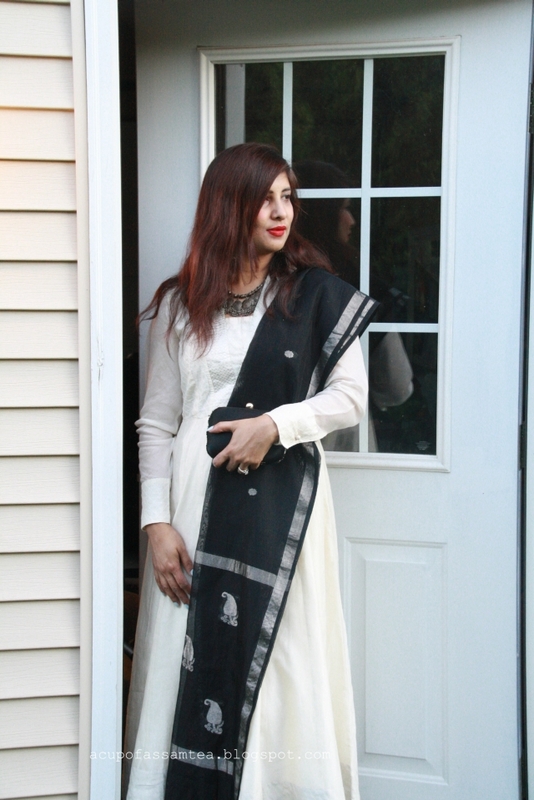 The off white kurta always gives you the immense options for wearing with different dupattas or different looks. Like the school year, I had a few goof ups here too. In a few pictures, I was holding the clutch facing the reverse side. However, I think at the end the result was still good. As they say, if it ends well all is well. What do you guys think please do let me know. Love how you styled the clutch -you look fabulous! Thank you so much Kamana. Coming from you means a lot to me. Thank you Sambolita. Happy to know that. Loved the whole outfit - especially the earrings! Tank you so much Bridget !